As a stand alone, Citizen Ruth has some interesting things to say about the abortion debate and, as Payne himself repeatedly assures, the problems of zealotry and extremism, in its depiction of the ways that ideology can cloud judgement and strangely end up committing the moral crimes it is trying to ensure against, but overall the film has the same problems with its relationship to women that Jules and Jim had, in that in its attempt to provide a female voice seems to have been lovingly decided, worked on, deliberated, and respectfully agonised over by a room filled with men (which is actually so). I would agree with his overall contention that the abortion debate is about a woman’s right to choose, not if you should or should not have an abortion, and that a woman is just as capable of making that decision as any man is in making it for her (at least this seems to be at the heart of Payne’s “message”). However, in highlighting the way the debate singles the woman out as a passive object tossed between two opposing sides, is a very male idea, as a woman simply wouldn’t see herself as a passive instrument in that way.You have to predominately think of females as passive to imagine that debate could ever render them so, and although the hapless Ruth Stoops is tossed about like a salad between the two groups, the central question in the abortion debate, and indeed the central question of Ruth Stoops, needs to be sublimated by Payne’s narrative in order for his case to gain any traction. In this, I (warmly) accuse Payne of executing the very “crime” he accuses the opposing sides of committing, suggesting that it is his own extremism that provides his “awareness” in seeing the debate played out the way he suggests. To be fair, we have the gift of 20/20 hindsight here, so like Truffaut to whom I have already compared to Payne (and I do see some similarities in subject approach between the two directors) I can use his next films against him, which highlight an ongoing issue Payne has with the completely passive female. There are two distinct exceptions to this, one is in his next film Election which is the closest we will get to a second female protagonist, but that really has more to do with Reece Witherspoon’s brilliance than Payne’s writing, and the only other is played by Cathy Bates in About Schmidt, and again that almost happens in spite of Payne rather than at his design. In all the other films and portrayals women are the passive objects of male agency with the most extreme example being The Descendants when Payne actually places his central female character in a coma for the entire film. He likes to deal with women after they’ve left, that’s another recurring theme – far more prevalent that the much touted “Father” thing he is supposed to have going, and almost all his females live solely as the product of male neglect, all their lives horribly crushed and annihilated because a central male in their life didn’t pay them enough attention, the central male who is almost always Payne’s much maligned protagonist. Part of what rescues Payne from his subverted moralizing – and I do think he moralizes – is that delightful comic structuring that he does so well. I laugh out loud even in the Payne films I don’t much like, and that’s a talent for observational and situational comedy when you can shift beyond personal irritations of a viewer to remind them its all a bit of fun really. Of all his films Citizen Ruth is one of his least funny; the comedy is fantastic when it’s there, but he’s given away too many great opportunities in what appears to be a cloud of self-consciousness that’s no doubt sourced from the subject matter. It certainly takes a brave director to depict that subject in comic style, although the moment when Diane (Swoosie Kurtz – have I ever seen her do a bad job?) reaches for her lover Rachael (Kelly Preston) and the shocked crowd of Christian onlookers take their step back for fear of some sort of infection is very funny as is the exit of Ruth at the end that I can’t relate in detail for fear of spoiling the film for the uninitiated. 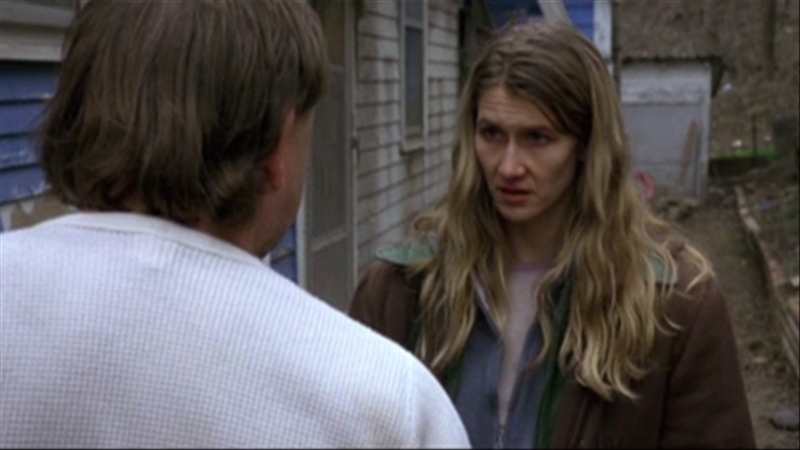 Laura Dern is entirely convincing as the unpleasant Ruth Stoops (even the name implies passivity) constantly shrouded in the bleak tones of James Glennon’s cinematography, but definitely the most believable aspects of Ruth’s plight are the depictions of drug abuse which at times look sickeningly real. One last important point is that Citizen Ruth marks the start of the very successful writing team of Alexander Payne and Jim Taylor who will go on to write all of Payne’s films until The Descendents and see the pair come up with other films such as Jurassic Park 3 and I now pronounce you Chuck and Larry. Jim Taylor met Payne when they were “pre-success” and for financial reasons decided to share an apartment, and it was in these heady impoverished days that the two wrote the early drafts of Citizen Ruth, until Taylors success on Wheel of Fortune (!) saw him able to fund his own education and Payne was able to get support to make the film. I’m not well-informed about the abortion debates in the US, but the film made it interesting to me on some level. Isn’t Payne’s best, and agree does have that air of being penned by male writers. 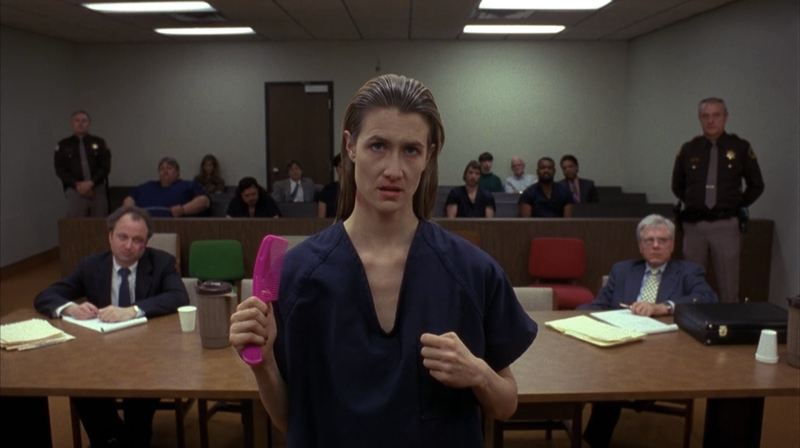 Even so, I liked Laura Dern’s performance. Maybe you are on to something, that female characters in Payne’s films are passive objects of male agency, I’ll look out for that when I rewatch his filmography. I love most of his films, so I’m probably biased not noticing the flaws 🙂 I disliked The Descendants, but love Sideways and About Schmidt. Election is third, and Ruth 4th for me. Yet to see Nebraska. Hey Chris – I totally agree with you! In fact it was the Descendants that first gave me that idea of the passive female, and when my review comes out about that film tomorrow, I will give him a full serve because I think this problem comes to the fore and he loses so much of what makes Payne’s films so wonderful. I also liked all the other films and I do think he was on a sort of tragectory to greatness, that was interrupted with the Descendants, but we’re looking at an eleven year gap and the collapse of his treasured writing team, so there might be “stuff”. I’m seeing Nebraska in a week or so, and I have to confess It’s one of my most anticipated previews – mostly because I wan’t to get a handle on whether this really great director is getting his mojo back and building on it. 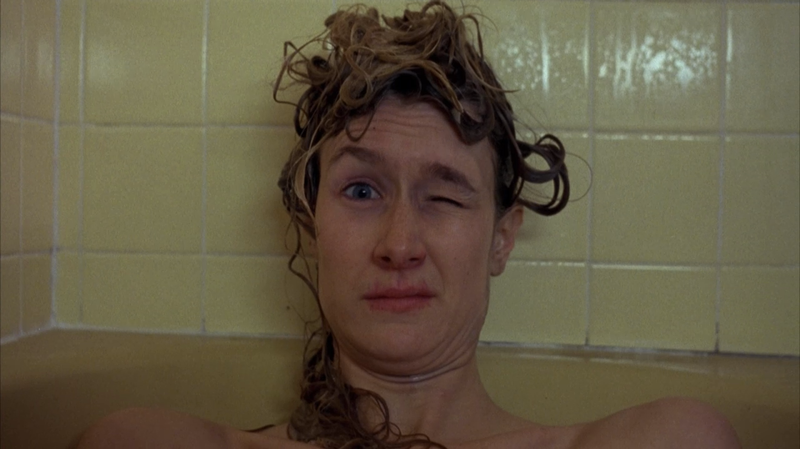 I also loved Laura Dern… I agree with you. Whatever Payne’s issues about women, he pulls fantastic perfromances from them and has a magic touch in that regard.